So the reason for my search was due to divorce and my wife keeping her fathers 25-20 winchester. But she was very nice and let me buy it off her for a song (I won’t say how much but I got a hell of a deal, and ended up paying her more than she wanted cuz I felt bad). So that will satisfy my immidiate need. However all this mulling around with calibers gave me an idea. It’s still in the early stages but I’m gonna be spending the next year working on a wildcat which should be pretty nasty on the yotes. I’ll have to see where it goes. That being said said I went to the oaks gun show today and found no less than five 357 mag 1894s all jm stamped for less than 700 bux. And two of those were under 600. Also found a pair of 1894s in 25-20 and a pair of marlins in 256 mag but the prices on those were a little steeper than I was willing to pay. I love to know the evolution of that law. Why .25 or smaller? seems like the lawmakers don't really want you to hunt. As a 25-20 owner I vote for .256. There is only one jacketed bullet you can use and cast - no, not for me. Necking down 32-20 to 25-20 is not as forgiving as it seems. you can buy .218 ammo, brass and bullets consider that one. Had some 25-20 brass cuz I’ve already been loading for this rifle. But mostly 85-90 gr. Law also specifies less than 80 gr. (must be soft point or hollow point) So gonna work up some 60gr jacketed sp and 55gr cast hp loads for it. Yea the law is stupid. They really don’t want us hunting at all. Did make another 300 pcs of brass from 32-20 this past weekend, lost 8 out of 300 so I’m pretty happy with the results. 32-20, 25-20, and 218 Bee Reloaders - Starline's Shipping 32-20 Brass Today! 357 Mag, 41 Mag, 44 Mag, and 45 Colt FCDs! 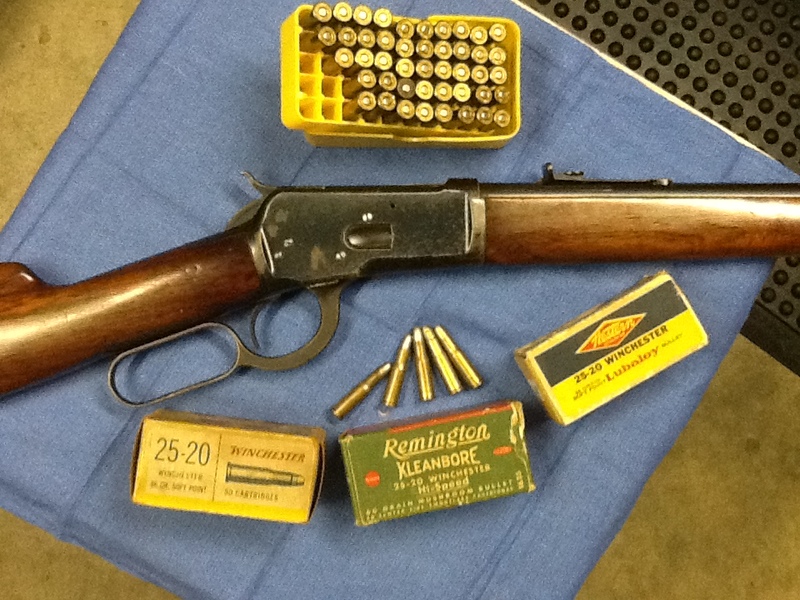 Marlin 1894c .357 Mag VS 1894 .357 Mag Cowboy Edition?